Technology has advanced rapidly over the years and newer methods are emerging to replace the conventional methods. Consequently, service delivery is better and more cost-efficient solutions are continually adopted. In addition, the much clamored coming of the VOIP into informational technology revolutionized the way companies handled communication and operations. A VOIP phone system avails you to seamless extension dialing across all your various business locations on one devoted web-based network. Furthermore, VOIP services are also available for users on the internet and it offers a viable and cost-effective alternative to what was obtainable before. Regardless of location, even if your offices are in the most two extreme ends of the earth, a hosted VOIP phone system can unite them into one big corporation like they are in the same building, without charging you anything for the extra distance. A VOIP phone system can efficiently and easily connect all your workers that work remotely. The vast technological features of VOIP will afford you an affordable way to link all your workers remotely with the aid of a DSL or cable internet connection. Thus, your workers just need to install software called softphone on their various computers and they can have access to a telephone like interface. With the assistance of this software, your workers will links up together from any corner of the world. In addition to connecting workers that work from home, a VOIP system is also very useful to link up with employees that work remotely as well. Therefore, if you have workers who will be traveling regularly on the job, you can still keep in touch with them. Subsequently, all they have to do is to connect their phone to their computer through the dedicated USB port; and with the aid of the softphone software on their computer, their handset will automatically be transformed into an office line. With the aid of VOIP phone service software on your computer, you will have access to a phone-like software on your computer. In the same manner, this software on your computer will allow you to make and receive calls like a traditional telephone. On the contrary, any call you make or receive via this software, your location will always be unknown. So, if you would be traveling for an extended period of time or will be physically away from your workplace, then setting up a VOIP phone system will ensure that you do not miss any phone call and your employees and customers can still connect with you like you were still around. 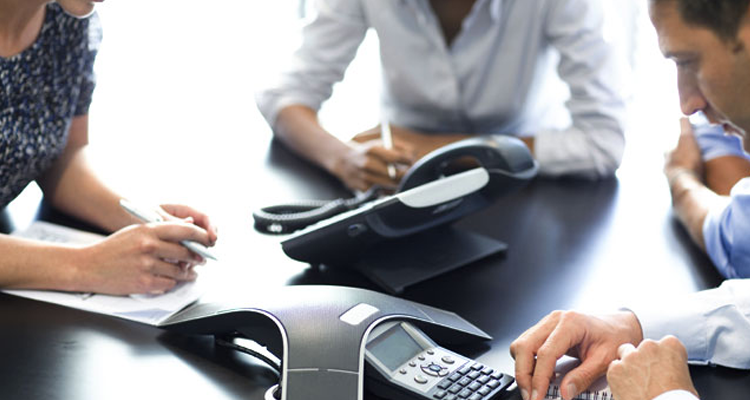 In spite of you being away, a VOIP phone system will ensure that you stay connected to happenings in your workplace. In like fashion, endeavor to connect all your home-based and remote workers together using a VOIP Business Phone System. With the help of a hosted VOIP phone system, regardless of your geographical location, your business is just a few clicks away, ensure you always stay connected!